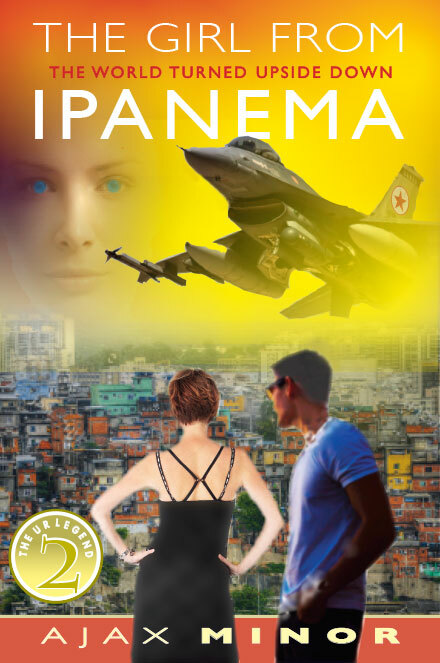 The Ur Legend trilogy that began with “Sun Valley, Moon Mountains” continues in “The Girl from Ipanema.” Once again, fantasy is its fabric, but this second book goes deeper, weaving a complex tale of a dystopian future. Old favorites and new characters engage in romance and conflict in preparation for an epic confrontation that will determine the fate of Earth. Mattie, now a young woman, travels to Pyongyang, North Korea. There she discovers love and rediscovers her past, but at a terrible price—just as a rogue asteroid slams into and melts the Greenland ice cap, creating an environmental crisis. This shifts the world’s balance of power from the Northern to the Southern Hemisphere. Twenty years later the US and Europe have split into small republics that burn coal as fuel and eat kelp to survive. A crucial summit is being held in Brazil. Ur, whose mind holds worlds together, is herself becoming a young woman who can see all future world-lines but her own, and that of another with whose fate she knows hers must be entangled. Will these stirrings of the human heart help or hinder the outcome of the upcoming conflict between the great powers of the world? Part fantasy, part dystopian saga, part epic romance, part international intrigue and part philosophical quest, the Ur Legend trilogy can be read, savored and enjoyed on many levels. In the end, the Ur Legend reminds us that the real battle is not with outside forces, but within our own selves.